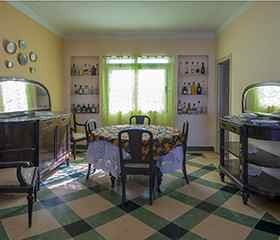 Accomodation in an atractive and lovely ecomonic apartament located in Vedado, Havana city, Cuba. It Is highly comfortable and completely independent. 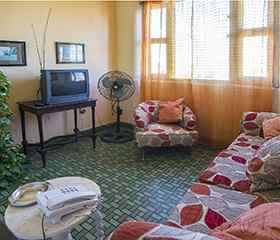 It is fully furnished and has three air-conditioned double bedrooms with two bathrooms with all facilities. You will find a TV and a CD player in a pleasant living room, next to the spacious dining room. 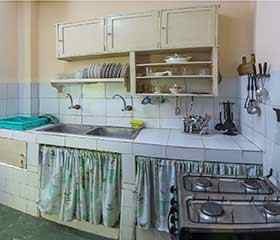 The kitchen is fully equipped, and there are phone extensions in every room, plus fans (110W & 220W). The apartment’s main attraction is its large and cozy 100 m2 terrace, where you can enjoy the sun and the afternoon sea breeze. 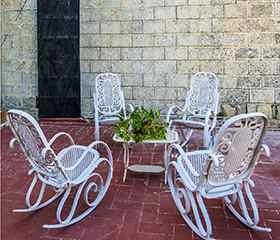 It is only 100 meters from El Malecón Habanero (Vedado) and three blocks from the Meliá Cohiba, Havana Riviera, and President hotels. Just as close you will find Galerías de Paseo, Atlantic shopping centres, and Cuban art shop Arte Malecón. Another interesting site you will find 100 meters from the flat is the Amadeo Roldán Auditorium (Official site of the Cuban Symphonic Orchestra and the Jazz Plaza and Contemporary Music Festivals). 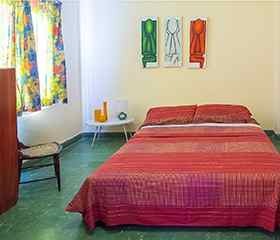 Also nearby there is the Jazz Café, with a panoramic sea view, the Café Havana (Meliá Cohiba Hotel) and the Copa Room cabaret (Havana Riviera Hotel ). If you like to enjoy the swimming pools, overlooking the Malecon Habanero, both, Melia Cohiba Hotel as the Havana Riviera Hotel provide an special service to all who visit. 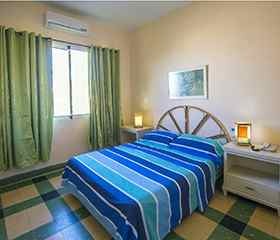 You will find only 300 meters from the apartment. The Club Imágenes and Crocodile Club features comedy and contemporary music shows every night. This area comprises a wide range of local and international cuisine restaurants, as well as fast food. Theatres, cinemas, night clubs can also be found in this area. Parking area in the same building at no cost. Replacement of bed linen, towels and daily cleaning are also included in the price. If you want you can request laundry service at a reasonable price. 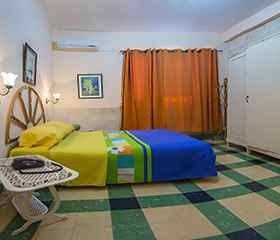 This intimate apartment is the perfect place to enjoy a particularly pleasant environment that leads people to always repeat the visit. Customer service in the following languages: Spanish and English. 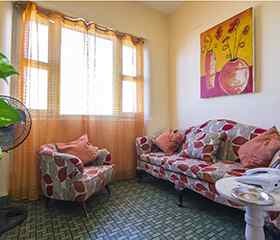 Nearby places: It is only 100 meters from El Malecón Habanero (Vedado) and three blocks from the Meliá Cohiba, Havana Riviera, and President hotels. Just as close you will find Galerías de Paseo, Atlantic shopping centres, and Cuban art shop Arte Malecón. Another interesting site you will find 100 meters from the flat is the Amadeo Roldán Auditorium (Official site of the Cuban Symphonic Orchestra and the Jazz Plaza and Contemporary Music Festivals). 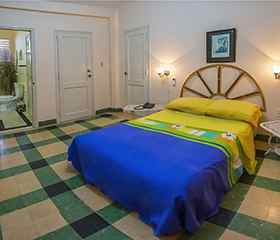 Also nearby there is the Jazz Café, with a panoramic sea view, the Café Havana (Meliá Cohiba Hotel) and the Copa Room cabaret (Havana Riviera Hotel ). If you like to enjoy the swimming pools, overlooking the Malecon Habanero, both, Melia Cohiba Hotel as the Havana Riviera Hotel provide an special service to all who visit. 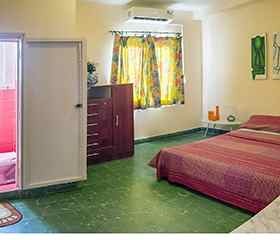 You will find only 300 meters from the apartment. The Club Imágenes and Crocodile Club features comedy and contemporary music shows every night. This area comprises a wide range of local and international cuisine restaurants, as well as fast food. Theatres, cinemas, night clubs can also be found in this area.